Well, we almost made it through November without receiving any snow. But just like last year, that streak ended just days after Thanksgiving. 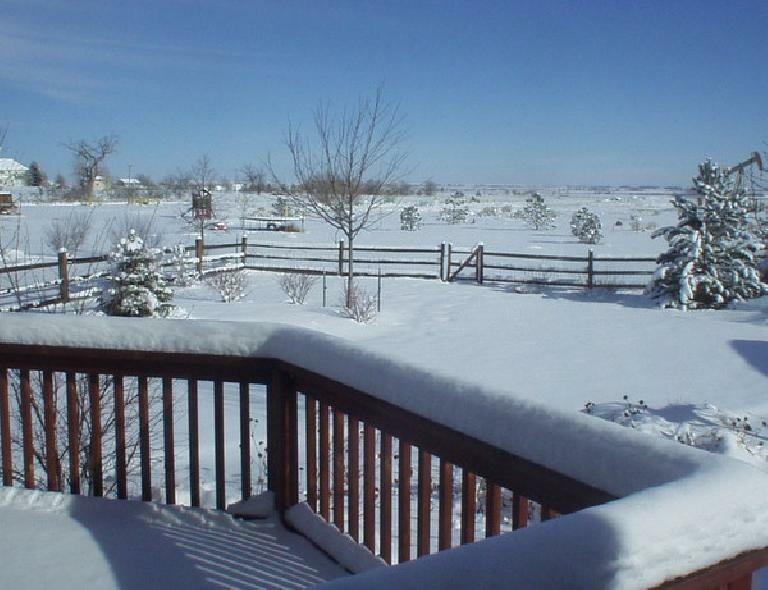 Here’s a photo of the back yard taken a day after receiving the first flakes. There is now plenty of powder to make a snowman. On the other hand, not sure if this is what my vehicles were intended for. See photo below (taken one hour after the first snowflakes started falling). The Alfa’s license plate would more aptly read “RCKNSNO” on this day. Good thing I really don’t have to go anywhere. It remains to be seen whether the weather in Fort Collins will be like last year, when it snowed for about a week after Thanksgiving followed by clear and sunny days for the rest of December and January. Then again, since snow days are pretty rare I should be taking advantage of this. A snow run sounds good… well, maybe tomorrow. 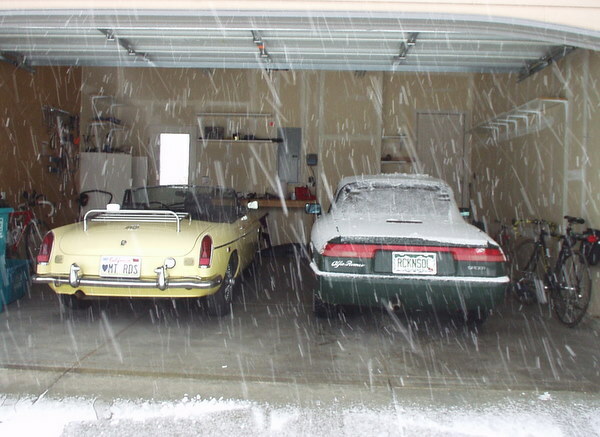 November 29, 2006 (Wed): Ok, I went for a snow run after all! It was very nice and peaceful, since the snow absorbs all of the ambient noise. There was about a 6-inch layer of powder on our walking trail, yet no snowshoes were necessary (though running in my running shoes on our trails felt like running along in snowshoes in deeper snow in the backcountry). Went 4 miles, which was probably equivalent to a 6-mile run at the same pace I was going were the trails clear. Despite being 17 degrees Fahrenheit it felt warmer outside today than yesterday (>40 degrees), no doubt because it was sunny with much less humidity. I had on 3 layers and had to start unzipping clothing halfway through today’s run. Below is a photo. 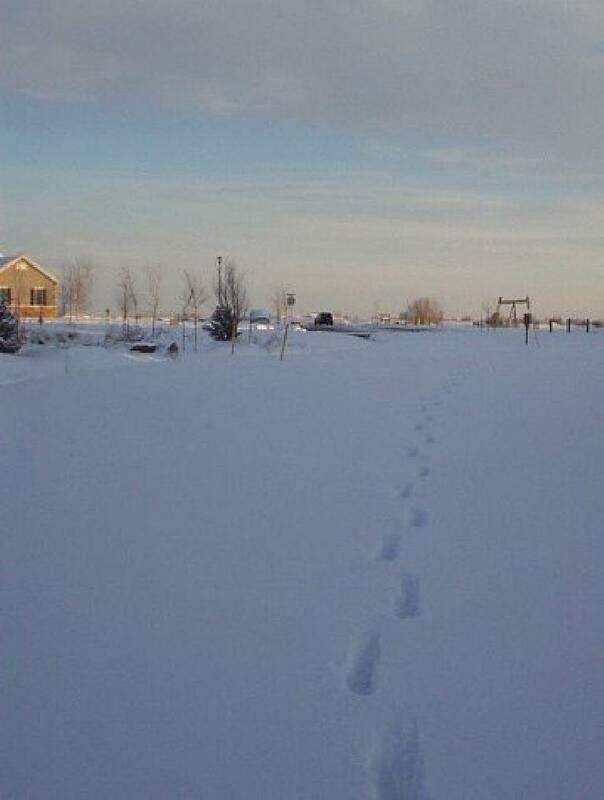 Those are my tracks… for some reason no one else decided to go running today, not sure why. At least there were quite a few kids out playing in the snow!